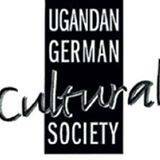 Cultural Coordinator at GZK/ UGCS The Goethe-Zentrum Kampala/ Ugandan German Cultural Society is looking for a experienced Cultural Coordinator for the Cultural Department at the latest from 19th January 2015. The work conditions and remuneration are based on the Ugandan labour legislation (local employment). The interviews will take place in the second week of January 2015 (employment at short notice).